As the son of an ocean lifeguard, Greg developed a deep respect for the sea along with a methodical approach to understanding and navigating through its constantly changing conditions. With a foundation built upon ocean awareness and comprehension, his passion for big wave surfing has grown to span two decades. 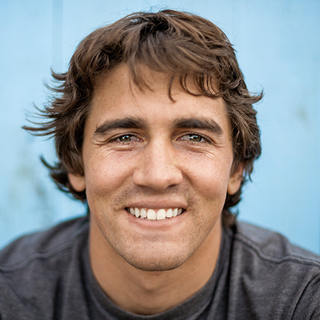 Despite having won multiple world titles and numerous big wave awards, Greg believes his greatest accomplishment is his ability to use his life stories and the lessons he has learned to teach and inspire others to embrace life’s greatest challenges while living as responsible stewards for our oceans and planet.